Each Rail Master Pro offers four operation modes, including laser and light, laser only, light only and laser with strobing light. Also, Rail Master Pros utilize Instant Activation. Further, the model attaches securely to most any platform with M1913 Picatinny or Weaver rails. 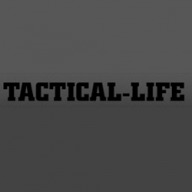 The post FIRST LOOK: Crimson Trace Rail Master Line Expands appeared first on Tactical Life Gun Magazine: Gun News and Gun Reviews.